Our team of Solicitors and Paralegals who can provide you with help and advice in various areas of the Law. Click here to send Rory Anderson an email. Rory is originally from Rothes, Moray. Many members of his extended family live in Speyside and have connections with the whisky industry. He moved to Kirkwall, Orkney, with his family at a young age and lived there until age 17. He went to Aberdeen University to study Law and completed his Honours degree in 2013. He then went on to complete his Diploma in Legal Practice and now works with Grigor & Young as a Trainee Solicitor. Outside work, he enjoys keeping fit and active – including tennis, golf, jogging and going for walks with his 2 cocker spaniels. He likes watching all kinds of sports and is a big fan of Hibernian FC. Click here to send Peter Brash an email. Peter grew up in Edinburgh, where he went to University and also did his legal training. He joined Grigor & Young in 1992 and has been a partner since 1999 (‘member’ since April 2018). He specialises in Personal Injury work, being a member of APIL (Association of Personal Injury Lawyers). He is accredited by APIL as a Senior Litigator. 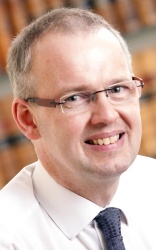 Peter is also accredited by The Law Society of Scotland as a Specialist in Personal Injury Law. He also deals with family, employment and housing law. He is responsible for the Blog discussing Personal Injury Claim issues on our Moray Claims website. Outside the law, his main interest is playing the fiddle. He has been a member of the Scottish Fiddle Orchestra for over 30 years. Stuart is a native of the North-East, having been raised in Buckie before moving to Edinburgh in 1990. He graduated with a degree in Applied Consumer Studies from Queen Margaret University, Edinburgh in 1992 before joining a graduate business management trainee scheme with a world-wide company. In 1997, Stuart returned to Moray with his previous employment. 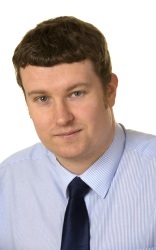 He has worked out of Grigor & Young’s Elgin office since 2001, as a property searcher for Moray Property Searchers Ltd. He became the Estate Agency Manager for Grigor & Young in 2017. Outside of work, he is a keen family man with diverse interests, including IT, music, eating out and sport. Click here to send Lindsey Carroll an email. Lindsey qualified as a solicitor in 1998 and spent her first decade in the legal profession specialising primarily in residential property with one of Scotland’s largest full service legal firms. She took a break from conveyancing in 2008 to return to University where she completed a Master of Arts degree in History, with Distinction, whilst continuing to work part-time in the legal profession. She relocated to Moray in 2012 and has latterly been specialising in land and rural conveyancing for estates owners and farmers, as well as dealing with a variety of commercial and residential property transactions. She joined Grigor & Young LLP in March 2018 and is located in our Forres Office. In her spare time, Lindsey is an enthusiastic cyclist and walker, who also enjoys clay pigeon shooting, cooking and reading. Lindsey’s normal working hours are Monday to Friday 9am to 2pm. Click here to send Ann Cruickshank an email. 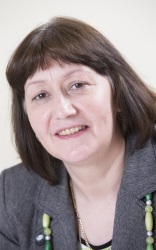 Ann is a graduate of Aberdeen University who has her roots firmly in the North East of Scotland and Moray. She joined Grigor & Young as an apprentice in 1978. She became a Partner in 1984 (‘member’ since April 2018). 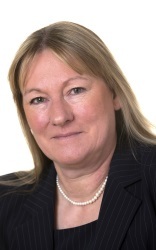 Formerly our main Family Law solicitor, Ann now specialises in Residential and Commercial Conveyancing, Commercial Leasing, and Private Client work (especially, Wills and Powers of Attorney). Ann was formerly based at the firm’s Forres Office but has been back in the Elgin office from the beginning of 2016. Click here to send Douglas Delaney an email. Douglas joined the firm in 2003. Elgin born and Forres bred, he returned to the area having previously worked with Stirling Council. He graduated from Robert Gordon University in 2000 with a BA (Hons) in Law Management and a Diploma in Conveyancing and Executry Services. He focuses primarily on residential conveyancing. Click here to send Cherry Fairley an email. Cherry originally qualified and practised as a Solicitor in England, training with a London Firm and then moving out to a firm in Hertfordshire, once qualified. Upon falling in love with the Scottish countryside, she went through the conversion process to enable her to practice as a Solicitor in Scotland. She has been based in Moray for over 13 years, including running her own Law Firm during some of that time. 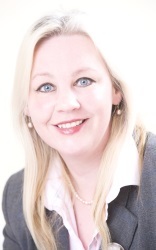 She is based in the Forres office and specialises in residential conveyancing and other Private Client work, including the preparation of Wills and Powers of Attorney. When not at work she spends time with her sled dogs, including competing with them in the UK and abroad, on dry land and on snow. Click here to send Carol Holmes an email. Carol grew up in the Moray area. She joined Grigor & Young as an Executry Paralegal when she returned to the area in 2013, after working in Aberdeen. 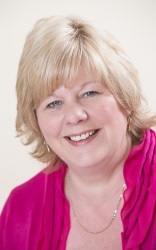 Carol has a Certificate of Performance in Paralegal Studies in Wills, Trusts and Executries. She also has an equivalent Certificate in Residential Conveyancing but she focuses primarily on Executries. Click here to send Maureen Jarvis an email. 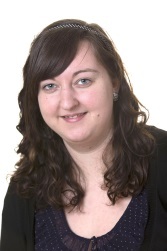 Maureen joined Grigor & Young in 2009 as a Tax and Executry assistant. She has a SHND in Information and Office Management. Maureen’s normal working hours are Monday – Thursday, 8.30am to 4.30pm. Click here to send Elin Jones an email. Elin is originally from Wales but moved to Lossiemouth with her family at a young age. She went to Robert Gordon University (RGU) to study Law and Management and completed her Honours degree in Law in 2015. During her studies, Elin worked with expert witnesses part-time and co-authored a paper with her University lecturer, Dr Ezeani, focusing on the laws of armed conflict. She has a particular interest in Public International Law and has since had her paper presented at the Royal University for Women, Kingdom of Bahrain. After graduating, Elin spent some time travelling around South-East Asia and returned to RGU in 2016 to complete her Diploma in Professional Legal Practice. She joined Grigor & Young in the Summer of 2017 and is currently doing her traineeship to qualify as a solicitor in 2019. Outside work, Elin enjoys travelling, walking her dog and spending time with her horse. Click here to send Katie Kennedy an email. Katie previously worked in Local Government administration prior to completing her Law Degree and Diploma in Legal Practice at Aberdeen University. She has been with Grigor &Young since she moved to the Moray area in 2000. She was made an Associate in 2003 and has been a member of the Family Law Association for a number of years. She deals primarily with general Civil Court work, with a particular interest in Family Law. Click here to send Isla Leslie an email. Isla grew up in Forres, Moray. She studied Law and Management at Robert Gordon University, Aberdeen, and graduated with Honours in 2013. Isla started working with Grigor & Young LLP in February 2018 as a Paralegal in Conveyancing and she is based in our Forres Office. Outside of work, Isla enjoys spending time with her family, travelling and walking. Click here to send Richard Miller an email. 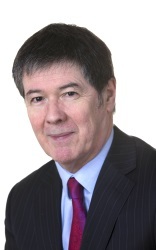 Richard was a solicitor in Edinburgh during most of the last 30 years. He has relocated to beautiful Moray from February 2018. His main interests are golf, swimming and photography. His goldendoodle puppy (Keira) takes up a fair amount of his time too! Richard deals with property and conveyancing matters, primarily. Click here to send Marie Morrison an email. 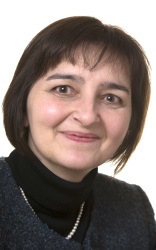 Marie, although brought up in neighbouring Banffshire, has spent much of her professional life practising law in Glasgow. She joined Grigor & Young in 2006. She specialises in Personal Injury with an interest in back pain, brain injury and high value cases. She is a member of the Association of Personal Injury Lawyers (APIL) and accredited by them as a Senior Litigator. She has over 25 years’ experience in handling personal injury claims for clients. Click here to send Audrey Robertson an email. Audrey is local to the Moray area. She previously worked for the Ministry of Defence for 26 years, latterly in the Intelligence Section at RAF Kinloss, before the base closed. She completed a Graduate Diploma in Law (Wills and Executries) through the University of Stirling. Audrey joined the Grigor & Young team in August 2012, initially working in the Court Department and then moved to our Executries Department. Audrey’s normal working hours are Monday – Wednesday 09.00 am to 3.00pm, Thursday 09.00am to 5.00pm and Friday 09.00am to 1.00pm. Click here to send Greg Robertson an email. Greg joined Grigor & Young in the Spring of 2016, as a solicitor in the court department, dealing primarily with Family Law. He became an Associate in December 2016 and a Member (i.e. ‘partner’) of the limited liability liability partnership from April 2018. Greg did his legal traineeship with the Moray Council and had a spell with the Scottish Legal Aid Board’s Civil Legal Assistance Office in Inverness, before joining the firm. After graduating in Law from the University of Glasgow, he spent time in continental Europe, studying at the prestigious College of Europe. He graduated from that institution with a Masters in European Legal Studies. He has extensive experience in a variety of civil court work. Outside the law, his main interests are cooking and DIY. Click here to send Neil Ross an email. Neil is a Member (i.e. ‘partner’) in the firm and he specialises in Licensing, Commercial, Environmental and Employment Law. He also acts for a number of major distillery companies and for the Malt Distillers’ Association of Scotland. Until the Spring of 2015, Neil was the Law Society of Scotland Council Member for Elgin and Nairn. Click here to send Donna Skelly an email. Donna has worked in the North of Scotland and Islands for over 10 years. She is experienced in all aspects of Rural Land Law, including Environmental, Sporting and Agricultural matters. She joined Grigor & Young in 2005 and has been a Partner in the firm since the beginning of 2015 (becoming a ‘Member’ from April 2018, when the firm became an LLP). Donna acts for a number of major distillery companies and is an active Committee Member for the Scottish Land and Estates (Highlands and Islands Region). Donna is also a Director of Elgin Museum and Secretary for the Banff and Moray Valuator’s Association. During her spare time, she enjoys fishing, is a moderate Spey Caster and writes ballads. Click here to send Janet Taylor an email. 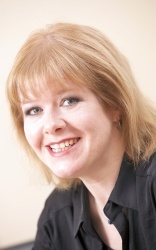 Janet joined Grigor & Young in 2001 when she moved to the Speyside area. She is a Member in the firm (i.e. ‘partner’) and her main areas of work are commercial and residential conveyancing, and corporate law.